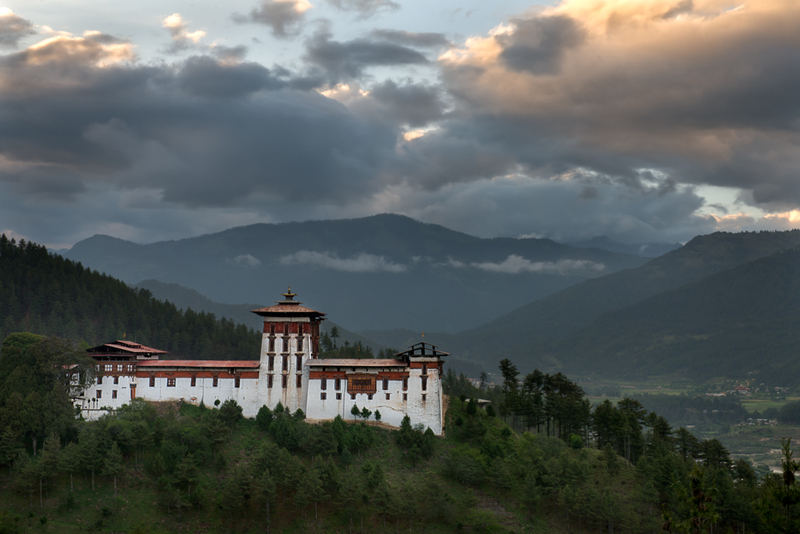 Over the last week I had the opportunity to attend the International Society of Ethnobiology’s (ISE) 14th Congress held in Bumthang, Bhutan (Bumthang Dzong pictured above). Ethnobiology is the study of human cultures and how they relate to their environments including flora, fauna, and ecosystems as a whole. There is a large emphasis on Traditional Ecological Knowledge (TEK), which is the cumulative knowledge that a people group holds about their environment and is transmitted orally from one generation to the next, and largely dependent on in-situ learning experiences. Often TEK is seen in opposition to contemporary scientific knowledge, however more often we find NGOs, international organizations and even governments recognizing the value that indigenous people hold and how it can positively influence decision-making. Jaap Kuper from the Netherlands delivered a paper on ecological restoration of forests. The context dealt with degraded forests in developing nations, which means there is often a lack of funds and expertise to conduct conventional tree planting. The locals are the experts, they have the knowledge to identify saplings at an early age, and they are aware of where the saplings exist and at what time in the forest. The locals then are able to avoid the sapling and nursery costs by collecting saplings and caring for them on their own, and then planting them in key areas in need of restoration. It is then the indigenous people that benefit from the restored forest and the increased products that are made available from a thriving forest ecosystem. Andrea Pieroni from Italy delivered a paper on Plant Knowledge in the Gollobordo Mountains (Albania), which sparked a magnificent discussion on indigenous gathering of medicinal plants for export. Currently the export market demands certain varieties of medicinal plants that the local Macedonians and Albanians are not familiar with, yet are available in the area. This has led to concern that there is not a healthy TEK in place that can foster a sustainable harvest. Therefore, suggestions are being made to modify market demands that are inline with local TEK so that locals can make better management decisions about plants they are familiar with. Such knowledge will inform the best time to harvest, when to stop harvesting to allow for regeneration, where to harvest (and thus avoid unnecessary exploration and save time for other activities) and so on. Alvaro Fernandez of Spain shared his research on Climate Change perceptions of remote indigenous groups in Bolivia. With a control and test communities he was able to show that the existing climate knowledge was unaffected by the global Climate Change dialogue, which revealed a genuine ethno-climactic body of knowledge that was being used to adapt to changes in their environment. The research showed how TEK was just as useful as a scientific approach in gaining useful knowledge for decision-making and suggests that further action is needed to incorporate such knowledge into global discussions. Doing so would not only improve global effort to minimize and adapt to climate change, but would also produce more culturally appropriate and acceptable options for indigenous groups. Unfortunately, TEK is quickly disappearing. As indigenous groups around the globe modernize and are drawn to urban areas in promise of diversified economies, the younger generations are failing to collect and pass on the learning that their people have collected. Yet it is encouraging to see a growing body of research pointing to its importance, which is also motivating the creation of national and international policies that recognize and utilize TEK in decision-making.